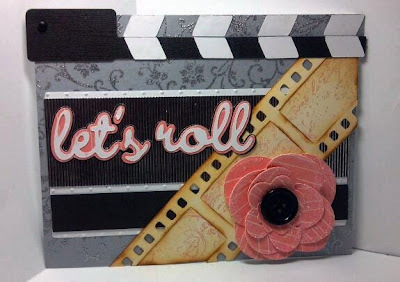 Hi everyone, over at svgcuts.com the July challenge is a Wedding theme, click here for more info. 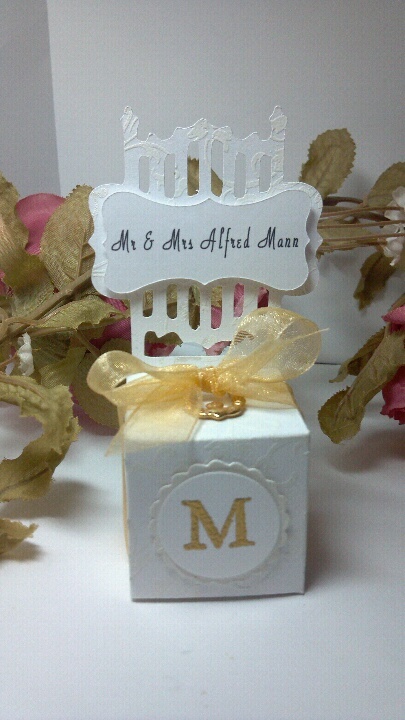 I created this wedding chair place card holder using the square box from Betty's Bags and Boxes kit. 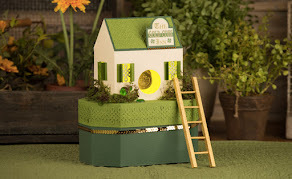 For the back of the chair I used the gate from Moonlight Garden Party Kit, I modified it in Make the Cut and welded it to the box. I also used the label from Edisto Island Kit, it's from the Oak Manor Step Card, and welded the shadow layer to the chair and then did a print and cut for the label and pop dotted it on. The box measures 1 1/2 x 1 1/2, the height is about 4". 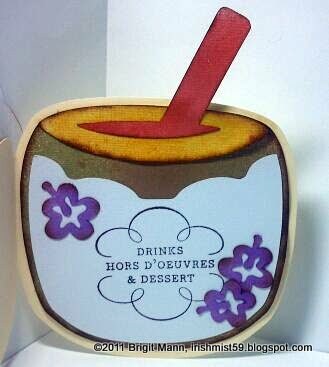 I used plain white paper and stamped with versamark and then used white embossing powder to make the pattern. I embossed the M too with gold. Every since I seen these online I wanted to make one, it's just so cute and you can put candies in them or something small as a Wedding Favor too, I also added a little gold charm to the bow. 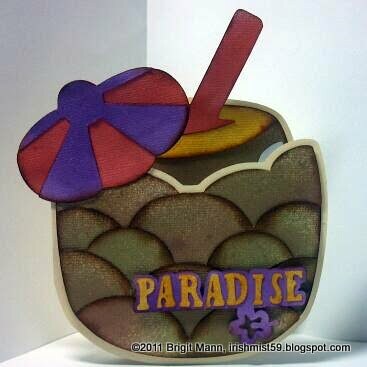 Hi everyone, here is a card I made from SVGCuts.com's new collection Tropical Friends. I made a card out of the pineapple, I created a shadow of the two layers and welded them together. I layered the front with the pineapple pieces. 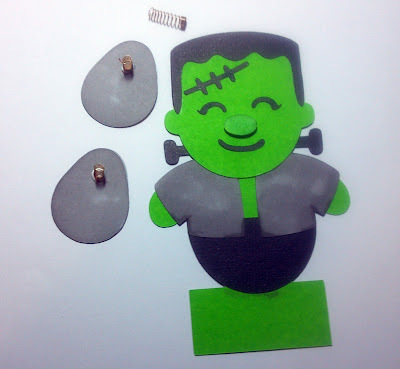 I cut everything except the card on white paper and used glimmer mist to color the layers. The new kit that svgcuts.com has this week, Summer Blockbuster is perfect for the movie lover. My oldest son, Alfred collects movies so this kit will be perfect for wrapping his dvds. 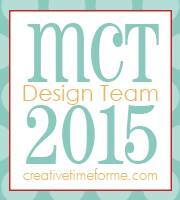 (Click here to check it out.) 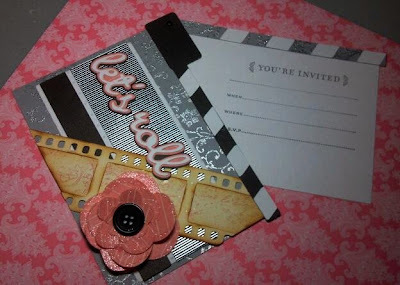 Here is a card from the kit, instead of using the flap of the card, I glued a piece of paper with a stamped invite to the clapper so when you open the clapper the invite opens too. Right now if you spend $9.98 you get the kit for free, it's a $6.99 value. 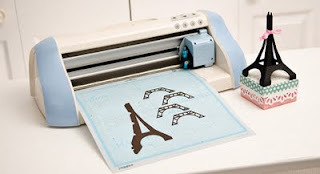 After spending so much on cricut cartridges I am so happy I found Make the Cut software and SVGCuts website, I so look forward to what Mary and Leo come up with each week and to have the instant gratification of downloading my kits right away. Now I can't wait to get my BossKut Gazelle, should be shipping this month sometime!! 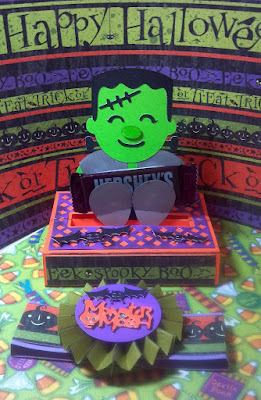 Here is another card I made with the adorable svg kit Cheryl's Cute Bugs from svgcuts.com. 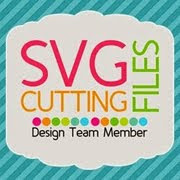 It has the cutest svg's in this awesome kit. I love this vine circle, I welded two shadow pieces in Make the Cut, for the card. 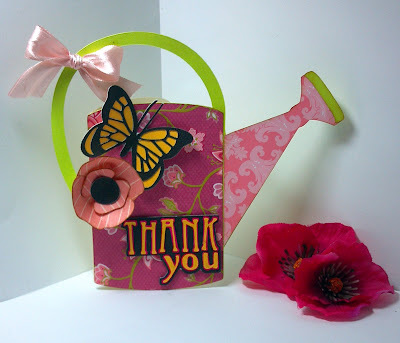 The flowers are made from one of the sunflower shapes in the kit and the ladybug is from the kit too. 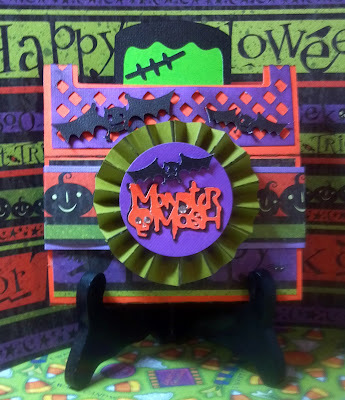 Hi everyone, here is another card using the Cheryl's Cute Bugs kit from svgcuts.com. This ant is just the cutest cut file, I made a card out of it. I created a shadow and welded two together in Make the Cut, (just love this software). I used my glimmer mist again, loving this also, I see more in my future, LOL!! 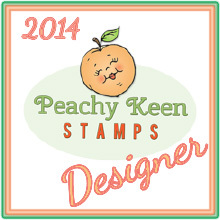 The face is a peachy keen face stamp.